Last year wasn’t a good year for this blog, as family health issues and intense work requirements didn’t leave much time for play. This year may not be much better, but I have realized that in the midst of all the craziness last year, we still managed to create some pretty cool stuff, and that I better memorialize it while I could. 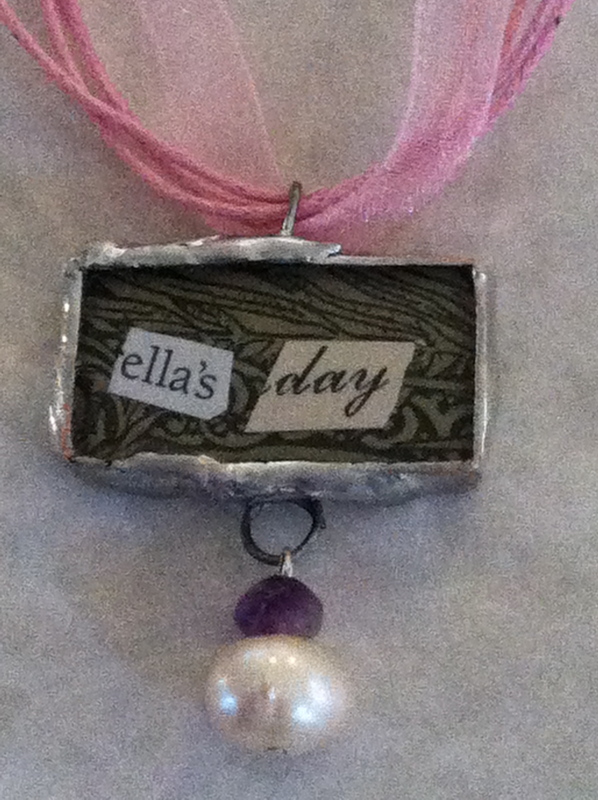 In fact, writing about incorporating art into my daily life isn’t just fun–it’s therapeutic. 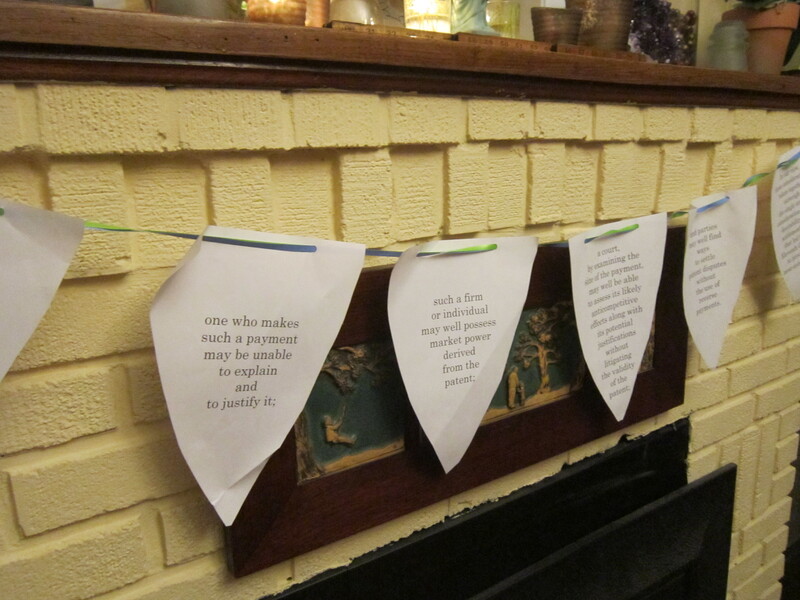 So, before 2014 gets any older, here’s a quick recap of fun and easy things you can do to celebrate and create. 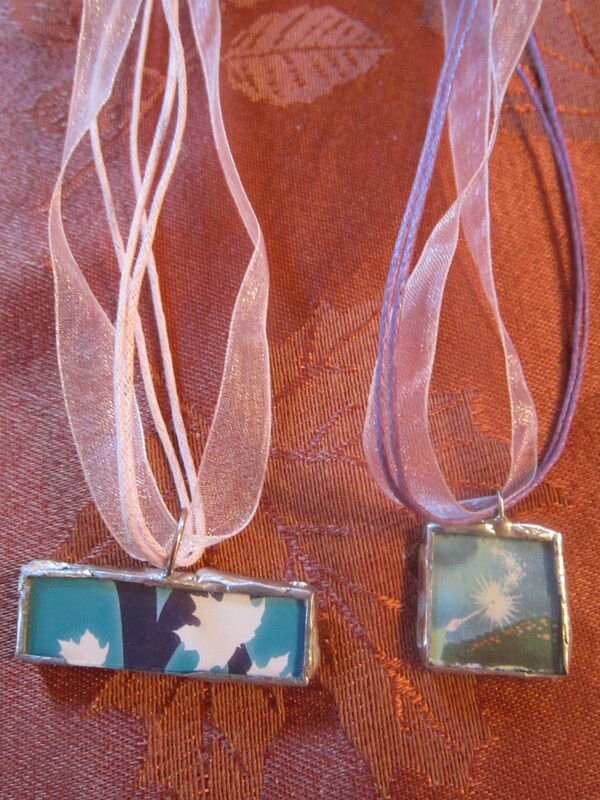 1.Make a Memorial Ribbon. As you know from my last post, my dad passed away last year. When the whole family was together (ten kids, 8 spouses and partners, 17 grandkids, various dogs and cats) there were tears and laughter, but lots of time just sitting around reminiscing and catching up. I wanted to make something for all of us to wear for the funeral. 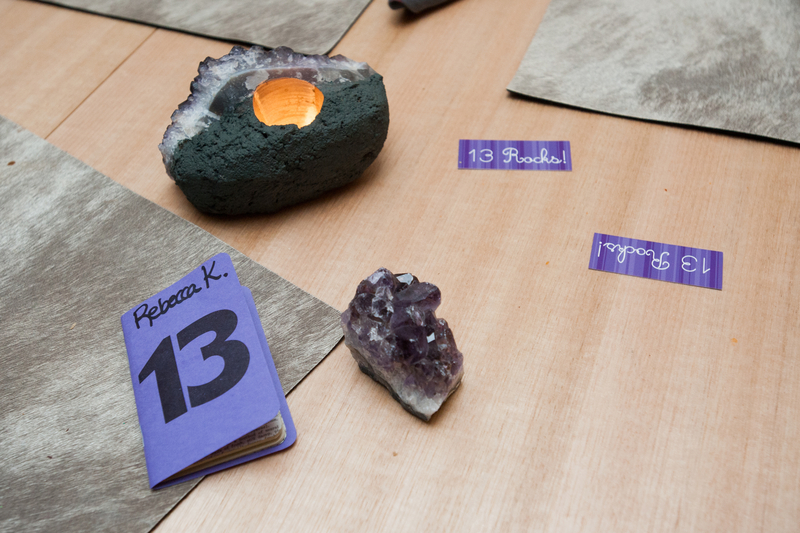 There wasn’t time for the soldered glass charms (and not really a guy thing, anyway), but a photocopier, black electrical tape, and purple ribbon allowed us to create our own memorial ribbons. 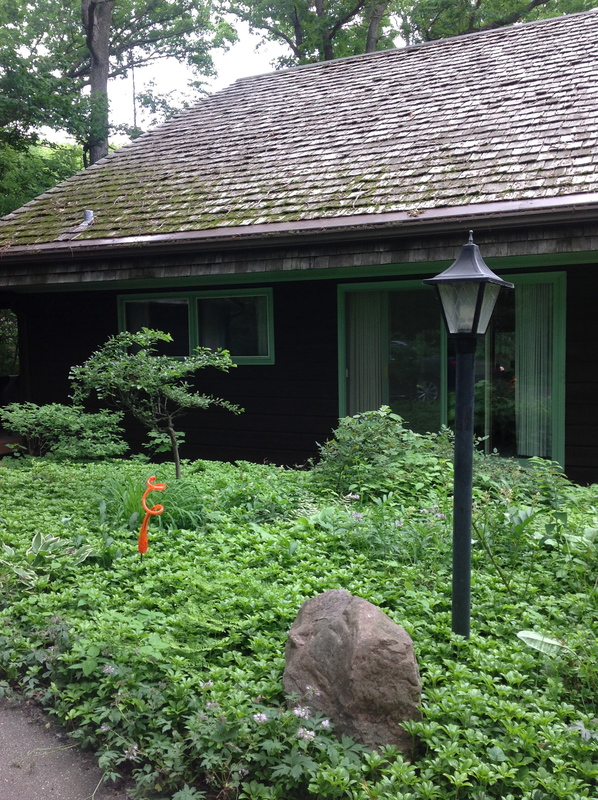 Black electrical tape is an old family joke–our dad fixed everything with black tape!–so edging the photocopies in black tape held meaning as a symbol of mourning and of his creativity. 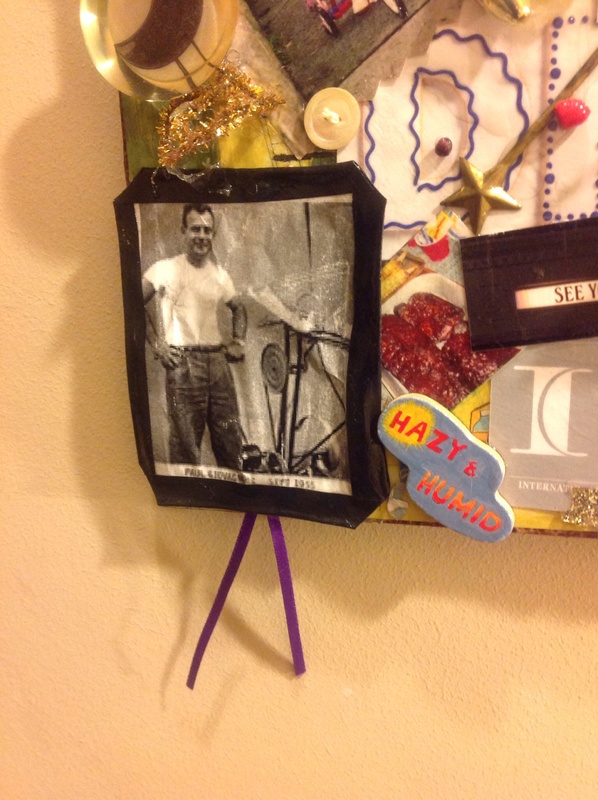 Tucking a folded purple ribbon behind the picture gave us something to attach a pin to and incorporated his favorite K-state color into the mix. 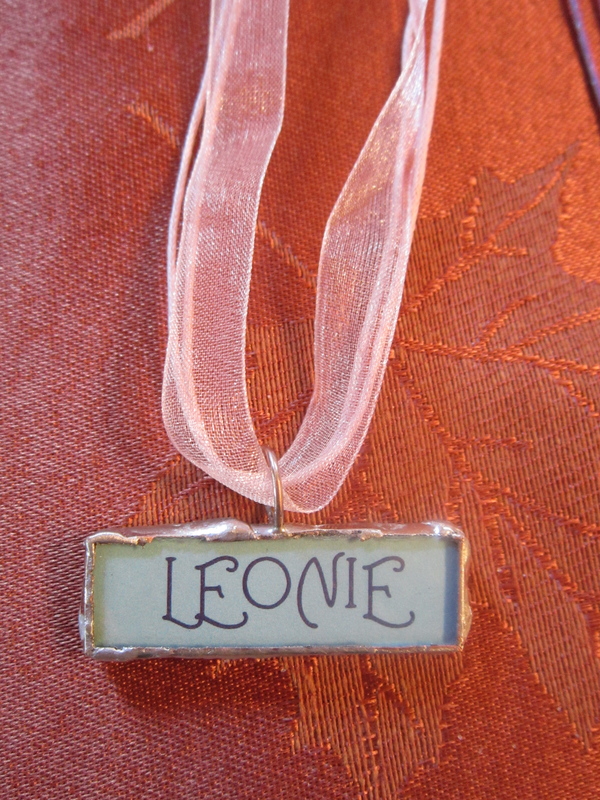 We made forty of these in a few hours for family to wear and remember. You could do the same for happier occasions as well–to celebrate a special birthday or anniversary. And I’m starting to think about how to turn the idea into a valentine–maybe a heart shaped photocopy, outlined in red duct tape, with the line “keep me close to your heart, valentine.” What do you think? 3. 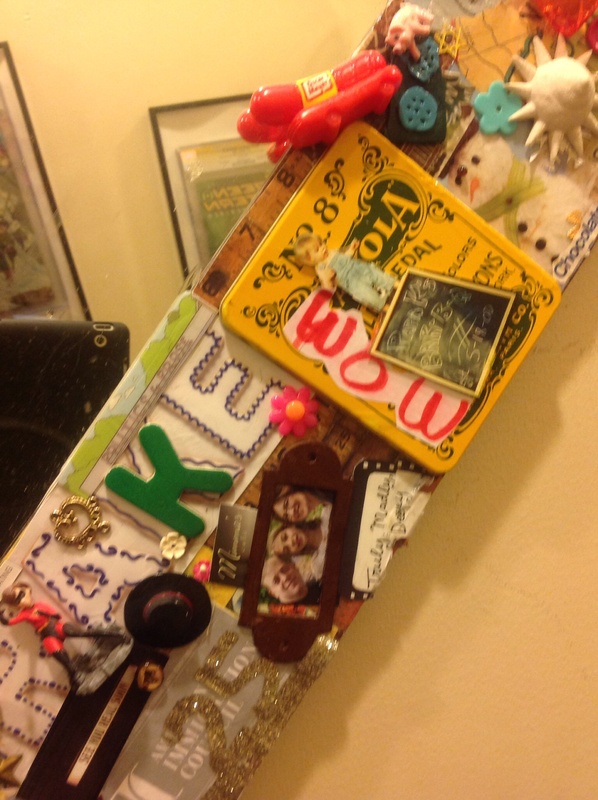 Make a really big collage mirror–I have been saving all the little bits and pieces of my life for years, reluctant to let them go but growing increasingly tired of boxes of “junk,” A few years back, i had done an assemblage of Rebecca’s childhood toys and castoffs on a huge mirror I had picked up in the TJ Maxx clearance section. 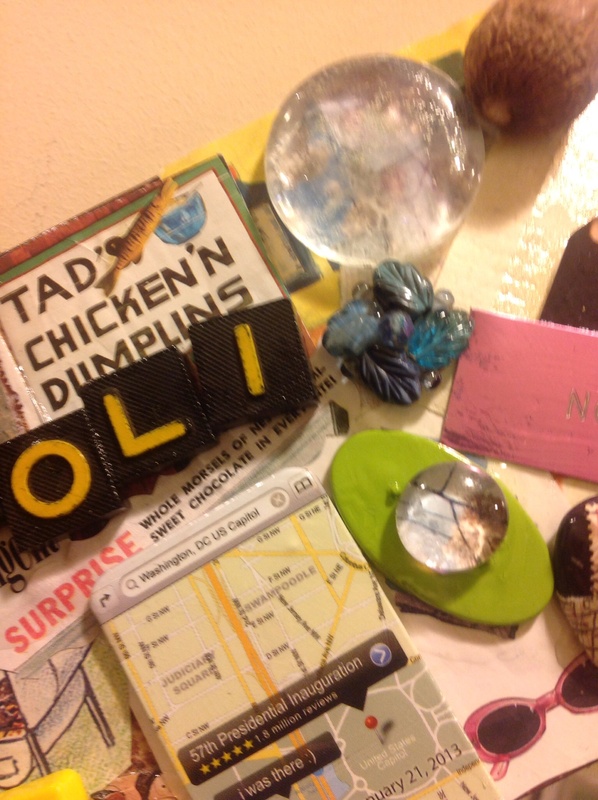 I had been holding on to my other bargain mirror in the hopes of making some kind of matching piece and it finally occurred to me that I could make an assemblage of my own tiny things. 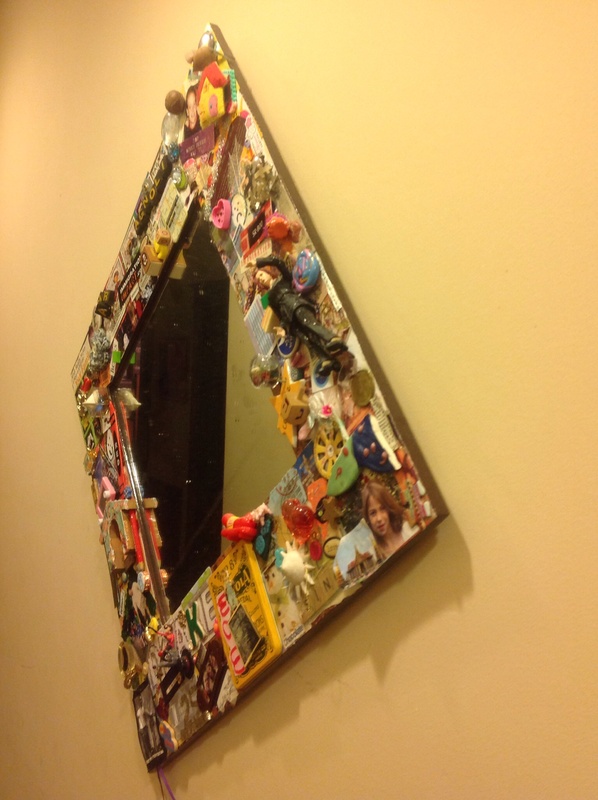 To do this yourself, you really just need an old mirror with a frame at least 2 inches wide, mod podge, some craft glue or epoxy for heavier objects, and the patience to fit all the piece of your life together. 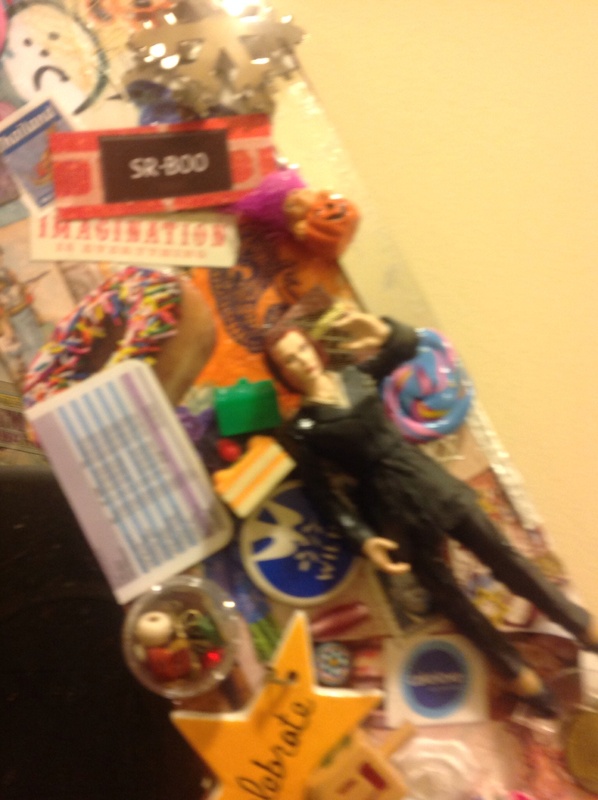 I actually did most of the work in a weekend, but this kind of collage work benefits from some sitting and thinking time, and in fact, has many layers, so you can start the project, set it aside for awhile, and come back to it. 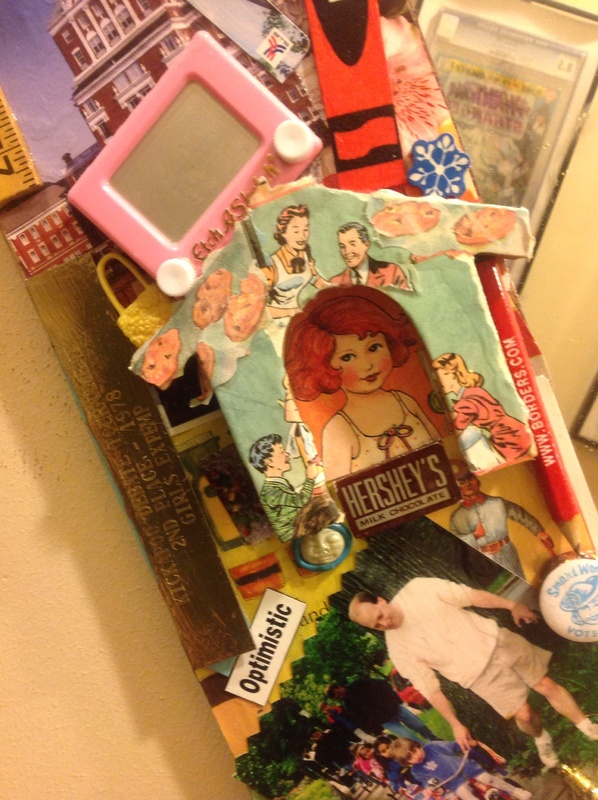 I will revisit the idea of a collage mirror later this year, and give you step by step instructions for making a smaller version. 4. 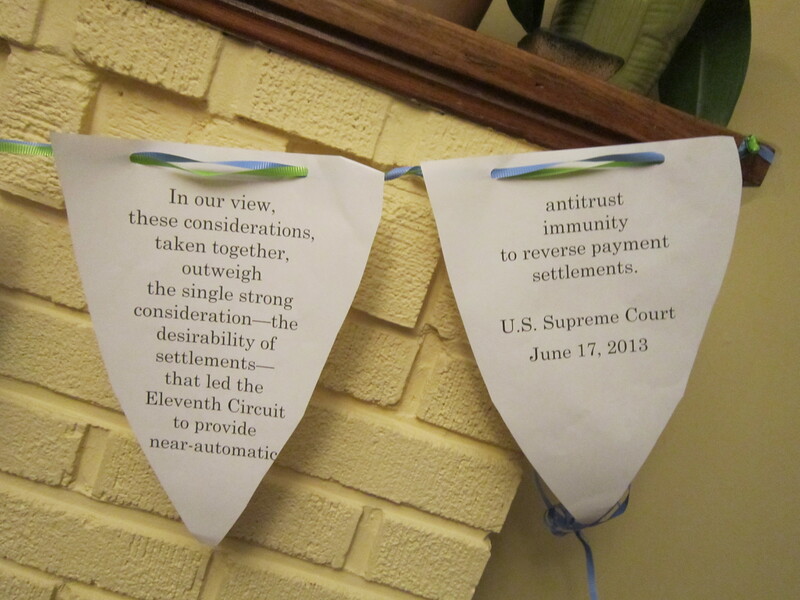 Home-made banners in a hurry–when a case my husband had worked on for years was decided favorably in the Supreme Court, you bet we celebrated. But how to make a banner out of a legal case? Find a quote that summarizes the case–either from the decision or from a newspaper article– copy or retype it, center it and then increase the font size until just a few words fit (centered) on the page. Suddenly you have 10 or more flags to string on a ribbon. If you want, cut the flags into triangles (pointing down) and create that pennant feeling so popular these days. I will admit that the fellows in the fancy restaurant were a bit stunned when I pulled out a banner to decorate our table, but they took it in stride when they saw the delighted look on my surprised husband’s face. 5. 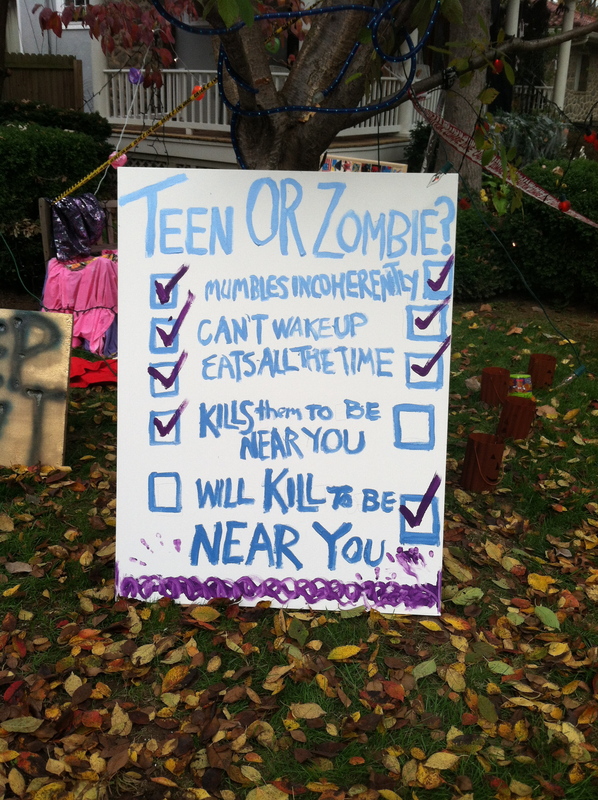 Halloween–worth its own post but here’s a teaser: Is Your Child a Teenager or a Zombie? Take our Quiz. We had lots of fun with this and Rebecca came up with the idea–will revisit this at Halloween. 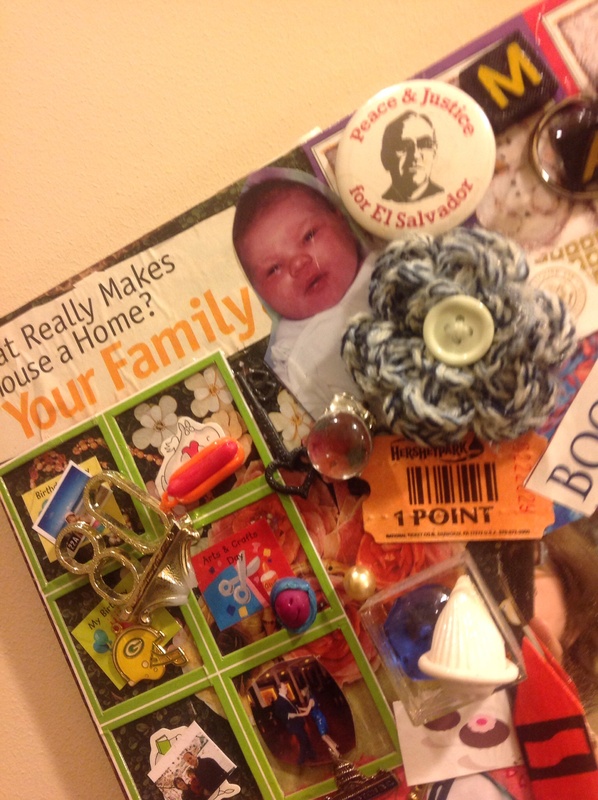 So, despite the appalling lack of writing on this blog post in 2013, there was lots of creativity in my house. 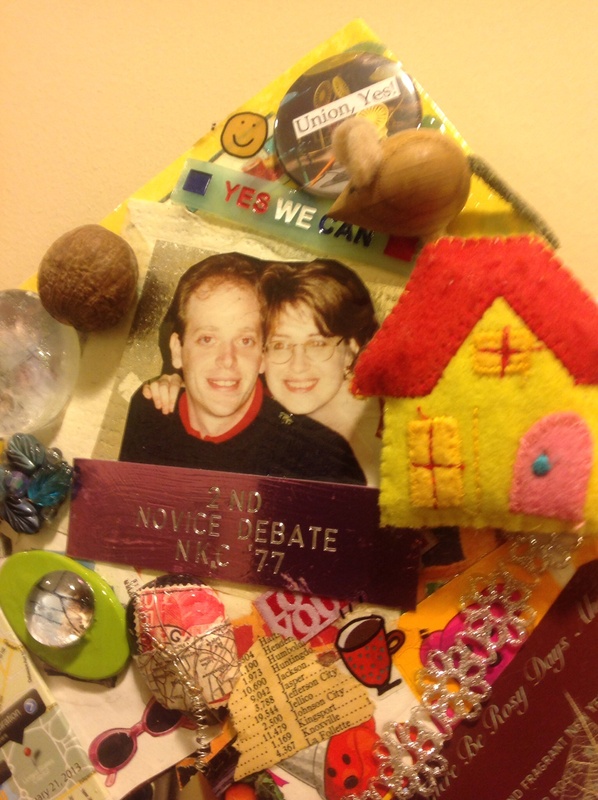 This year, I’m resolving to track it and write about it a bit more–I hope you will join me and share your crafty lawyer, baker, teacher, candlesticker maker stories as well.